I am looking for a new android phone for myself since the day I lost my last one. While going through the list of phones yesterday, my eyes got stuck on lava P7 which has been just launched. 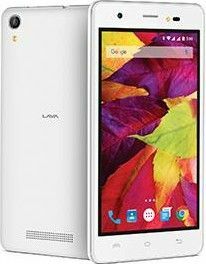 The phone comes with the amazing features of 1.2 GHz Quad core processor, 1 GB RAM and 8 GB inbuilt memory which is expandable up to 32 GB. And, its 5 MP camera with flash and 5-inch display with Corning Gorilla Glass clicks amazing pictures. Its faster 3G connectivity with 900 Mhz bandbrings a pleasant experience of browsing.The 2000mAH battery size can get me rid of charger at least for a much longer time. The main highlight of the phone is guaranteed upgrade version of Android 6.0 Marshmallow worth for just 5,499 INR.